Home / Business / Hello, August! August started out with a semi-rainy Saturday down at the RiverFrontMarket, followed by a perfectly lovely (and dry!) Sunday at the Fancy Schmancy Flea Market, which is quickly becoming a regular event here in central Illinois. 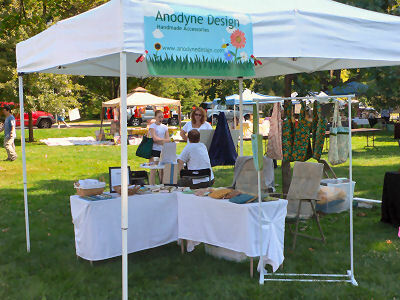 This weekend I had the opportunity to use my new banner on my tent, and I saw it attracting eyes and smiles. It really is a cute a banner. I had to opportunity to meet someone I’ve emailed with who wanted a particular color of wristlet, and it looks like I was able to come up with something just perfect for her. Take note: If you want something specific, please ask! I love to make custom orders! I have also started selling magnets over the past two weekends, and I’ve been surprised by how popular they are! (Although SciFi Man and my dear friend KT both said, “told you so!” Apparently, I am the last one on the magnet train.) I started out by making a few sets of fabric covered button magnets, like the ones I made for myself awhile ago, and then tried my hand at decoupaged clothespin magnets. 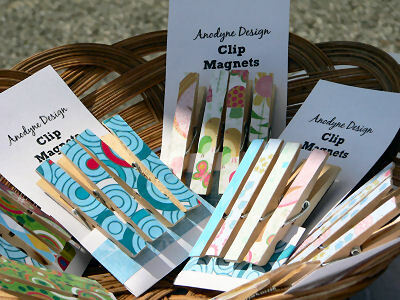 I love the way pretty paper transforms a simple clothespin into something special. 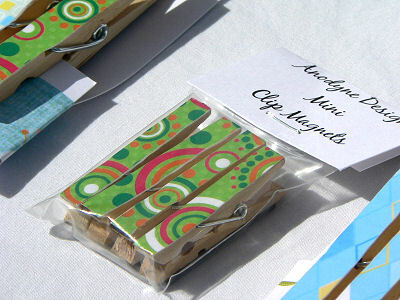 What I love even more is the way pretty paper transforms mini clothespins into something special and tiny. I think these little guys are just so adorable. And from the feedback I’ve gathered at the markets, I’m not the only one. 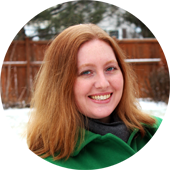 The first day I debuted the mini clip magnets I sold out within two hours and there was almost a fight over the last package! Since then, I’ve taken care to bring a larger selection with me, so everyone can have a little mini magnet goodness. Overall, a good start to August. I am hoping that the rest of the month is filled with more good things, for me and for you, too! That is a really cute banner! I love the color. Your setup looks really great. Happy August. Your market space is very cute! Love your banner. And I really like the magnets too. Very cute idea! I love these clothespin magnets. I needed like 4 clothespins, of course they do not sell them in that quantity, so I bout 100. I did not have a clue as to what to do with them until now. I think I will cut up some discarded photos and include them as free gifts to my buyers. Thanks!